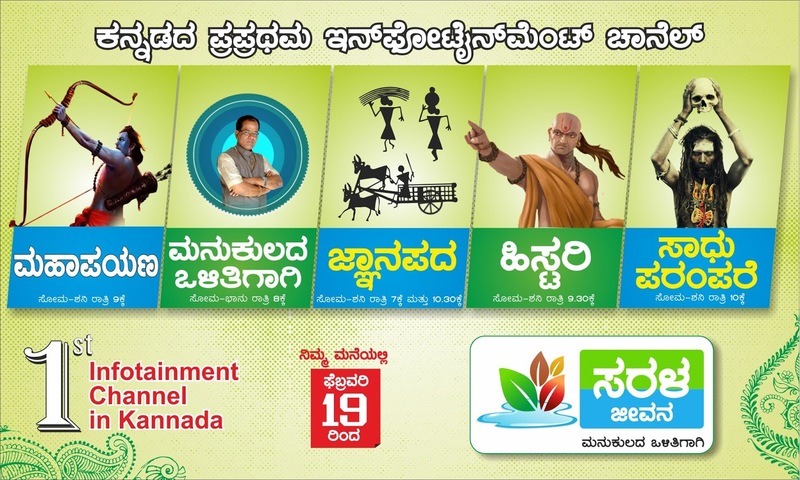 Kannada TV channel that telecast non-fiction programming with a focus on mythology, history and insights on Indian culture. With the objective of transforming people to lead simple and happy living (Sarala Jeevana). 1st of it’s kind channel and content. Research based, `untold stories’ makes the majority of content. Slow yet, sturdy gain of viewership is expected. Ethics, values and positive way of life is the core.